Since Hassan Rowhani won the elections in Iran, he has been adopting a much more moderate approach than his predecessor; Ahmadinejad. He revealed during an interview with the NBC, a television channel in the USA, that his country had no intentions to pursue the fabrication of a nuclear weapon, and was willing a major role in bringing peace in Syria and stability in Bahrain. Washington has replied to his declarations and hopes that he will abide by his words. Secretary of State John Kerry said the Iranian president’s comments “have been very positive” and encouraged him to interact “substantively” with western countries. The White House confirmed that it has been following developments in Tehran were “a lot of very interesting things” have been taken place. 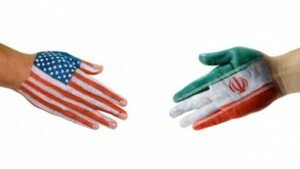 During Ahmadinejad’s tenure as president, relations were always tense between Iran and the West. He often used United Nations platform to lambast them together with Israel that it refers to as a Zionist state. Rowhani did label Israel as “an occupier, [with] a usurper government that does injustice to the people of the region” but avoided commenting on the holocaust which Ahmadinejad has always denied took place. Marie Harf, State Department’s spokeswoman said that both Obama and Kerry “believe that there is an opportunity for diplomacy right now.” Rowhani has stated that diplomacy should be focused more on “what we do want” in times of differences. He added that doing that demands “more courage” from parties. Western countries have been against Iran’s nuclear program and negotiations have not broken the deadlock under Ahmadinejad’s regime. Written by: Jaber Ali on September 20, 2013. Posted by Jaber Ali on Sep 20 2013. Filed under Headlines, World News. You can follow any responses to this entry through the RSS 2.0. Both comments and pings are currently closed.